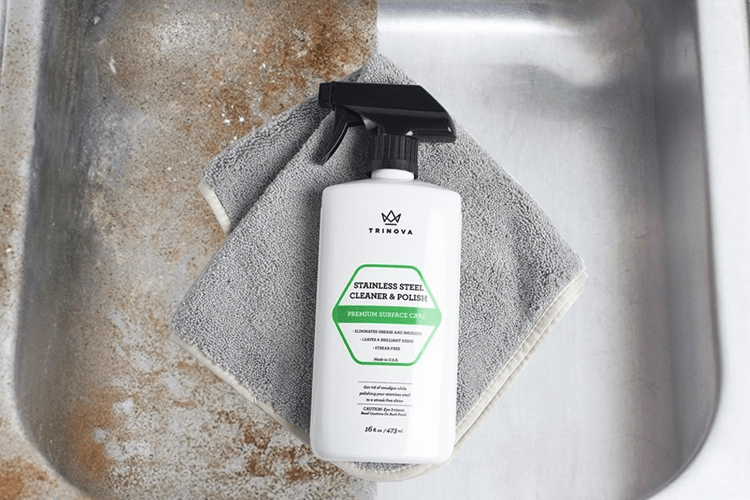 TriNova Stainless Steel Cleaner & Polish won’t scratch or streak on any surfaces, engineered to be easy to use without abrasive chemicals or ingredients. Use for commercial or professional grade projects. 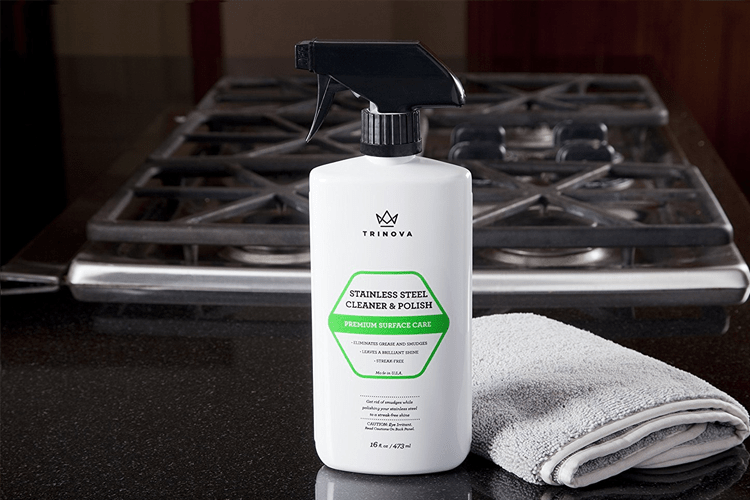 TriNova Stainless Steel Cleaner & Polish will eliminate a stain from your range hood or sinks or rid your dishwashers from dirt or food easily. Includes a 14×14 microfiber towel to ensure cleansing essentials, save time and energy. TriNova® Stainless Steel Cleaner and Polish is rated 5.0 out of 5 by 8. Rated 5 out of 5 by Jessica LeJeune from Amazing! It's not very often that I'm truly amazed by a cleaning product, but this one blew me away! I received it as a sample and didn't really have a lot of faith that it would work. I used it to clean my stand mixer first since it was pretty grimy and dull. With just the first wipe I was really impressed. The mixer looked like new again! It was shiny and streak free and the cleaning cloth made it incredibly easy to clean. I used the cleaner on all my other stainless steel and got the same results. I even wished I had more stainless appliances so I could keep trying the product! I definitely recommend giving this cleaner a try, you won't be disappointed! Rated 5 out of 5 by Megan Schulz from Best product ever!! I have been a professional cleaner for over 10 years now and have scrubbed my arms off to polish stainless steel. I got the product to review and will never go back to doing it the old fashion way again. It saves me a lot of time on polishing and goes on so easily and takes all the grease and water spots off of the surfaces. Thank you for making such a great product you have saved my arms a lot of unneeded exercise! Rated 5 out of 5 by Paulie Kramer from Stainless Steel Cleaner and Polish I never heard of a stainless steel cleaner and polish. 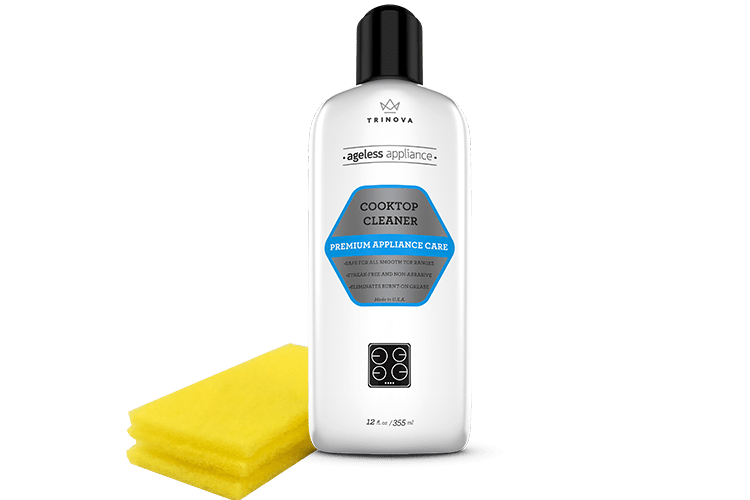 This product was amazing because it cleans and gave a nice shine to my stainless steel sink. I would highly recommend it. I wish I had this product years ago! 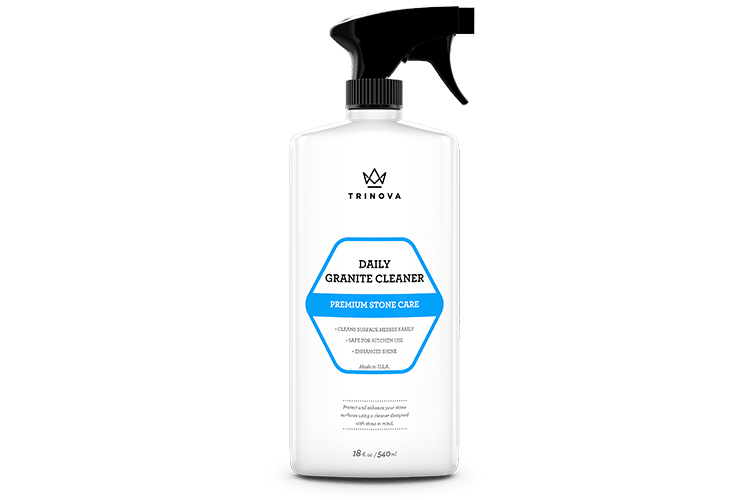 Rated 5 out of 5 by Jennifer Rodriguez from So glad I found Trinova I wish I could post the before and after photos of car rims used the cleaner on! The difference in the two was night and day. Went on streak free, beautiful shine. I took pictures and posted them on my Instagram@jro38t, you really should see the tremendous amount of difference, and with such little effort. This is the second TriNova product that I've had the opportunity to receive for testing purposes, and I am definitely happy that I found Trinova. Rated 5 out of 5 by Katelyn from Works like a charm! *I received this product for free to review, the following opinions are my own*I was pleasantly surprised at how well this cleaner worked! It took off all the oil from fingerprints without smearing it around everywhere. I love the microfiber cloth that came with it! Together they make for perfectly clean, shiny appliances. Now, if only it could stay that way permanently... but nothing is that magical. Awesome product! 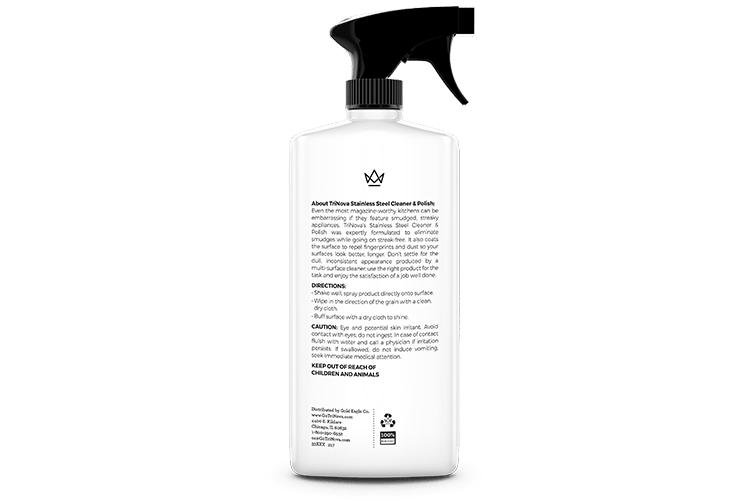 Rated 5 out of 5 by Stephanie Harvell from TRINOVA STAINLESS STEEL Trinova Stainless Steel Cleaner and polisher is one of my favorite products on the market. It cleans and polishes at the same time. Leaving all appliances sparkling like brand new. 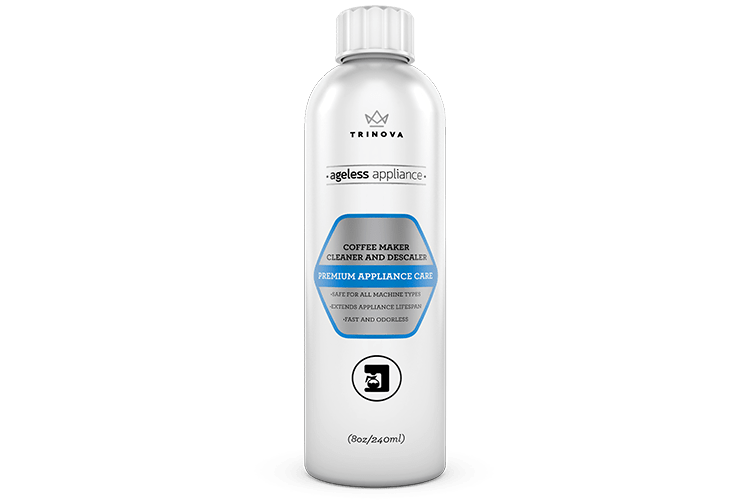 I used this on all appliances, faucet fixtures, as well as every thing chrome in my house. I would definately reccomend this product, well worth the money. Rated 5 out of 5 by Stephanie Stocker from Pleased I am very pleased with the sample I received of stainless steel polish I used it on my appliances and the looked like new I definitely plan on buying this product thank you for the chance to test it out . Rated 5 out of 5 by margaret harris from stainless steel cleaner and polish Stainless steel cleaner and polish worked great for all my stainless steel appliances. It cleaned them easily and was gently on my hands too. It left them looking like the day I bought them.